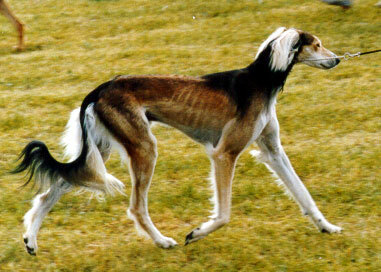 Shams was the only male in the litter and I had booked him as my second Saluki from Shamali with the Ben Huris/Sedeki lines. 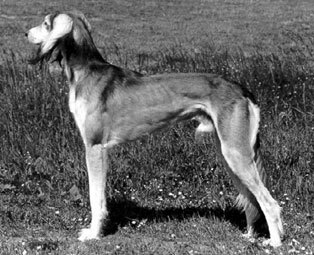 He turned out to be a "eye catching" male but with very straight pasterns and hindquarters. He moved very easily inspite of that and I think that was the reason he actually get one CC and one Reserv CACIB.